As someone who has aaaalways believed in the restorative powers of autumn, I’m ok waving goodbye to summer while everyone else mourns the end of the season. And what better way to say “till next year” than a drink called “See You in September?” The New York Distilling Company, one of my now new favorite neighborhood spots was where I found this tasty gem, a delicious mix of tequila, apple brandy, Luxardo Aperitivo, apricot, and lemon over a big cube of ice. On one of the unofficial last days of summer, a day that was muggy as all hell, sticky and unbearable, this drink was cold and soothing and everything I needed. Cheers to summer and cheers to it being over. On this eve of September, I raise my delicious New York Distilling drink to everything that’s to come. 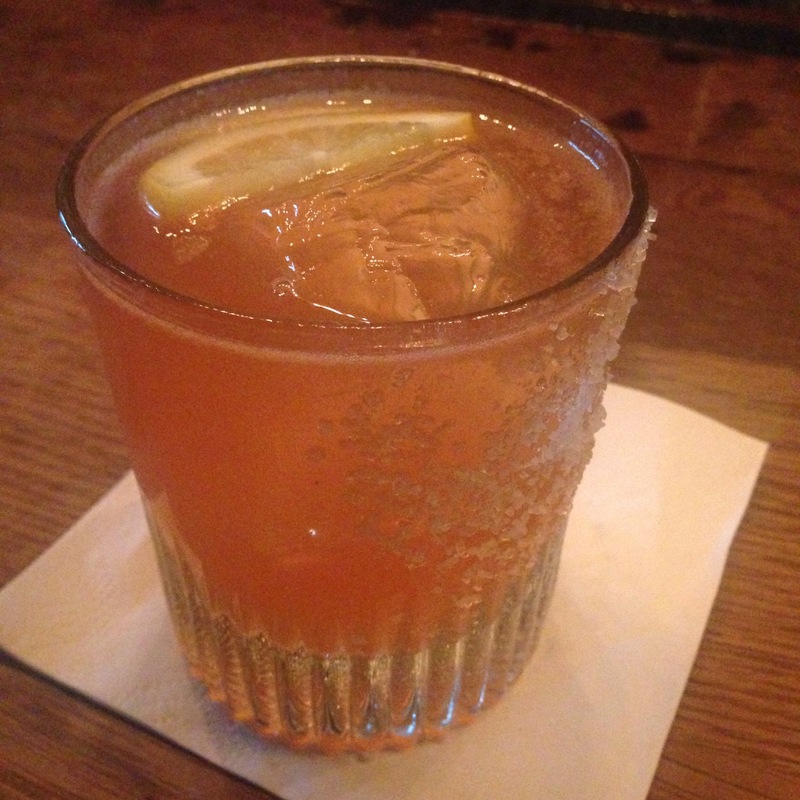 This entry was posted in Drinks and tagged apticot, brandy, brooklyn, New York Distilling, tequila, Williamsburg. Bookmark the permalink.